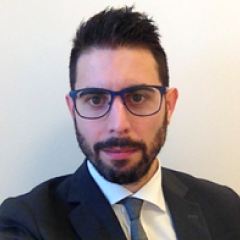 Fabrizio is Post-doc research fellow at LUISS Guido Carli University in Rome (Italy). Fabrizio is Ph.D. in accounting and finance at the School of Business, Public Policy and Law of the National University of Ireland, in Galway (IE). His research interests focus on the role of accounting and Reporting practices for sustainable development. In particular, he focuses on integrated thinking and integrated management. Since 2016, Fabrizio is teaching assistant at LUISS Guido Carli University, Rome (Italy). Further, Fabrizio has been research assistant at Roehampton University, in London (UK), and visiting researcher at the University of Edinburgh Business School, Edinburgh (UK). In the field of Integrated Thinking and Reporting, Fabrizio has collaborated on some research project with UniCredit and Eni.